That's a very good and helpful link! (And your thread previously.) Thanks. Was gonna ask about what readers should know about the GLC and Exploding Krypton since there is a obvious different POV on that history after reading #38 but no details (yet). How much of that canon referenced in that cbr article do you think is still intact after REBIRTH? 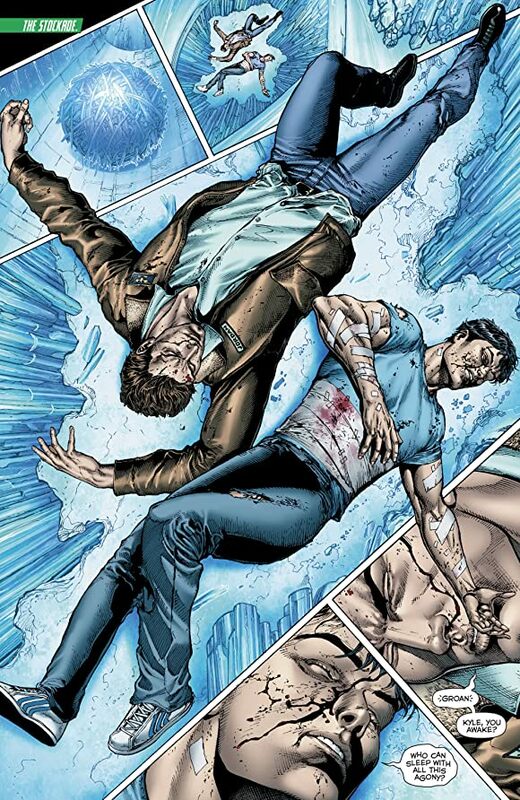 Hal's actions in dealing with the Kryptonians and helping Kyle were so admirable in #38. The art of the latest issue was colorful and energetic especially considering no fighing occurs. THE COOLEST SCENE WAS CLEARLY the path Hal's Ring took to get past Eradicator! THAT's GOTTA HURT! It was actually annoying trope that the reboot happens so easily. Also, it JUST registered with me that the Planet Jekuul is the same one in Action Comics 997, this week, shown years in the future. "A" future? It arguably gives a bit of meat to that future Zod-Family storyline to chew on. > “ZOD’S WILL” part two! 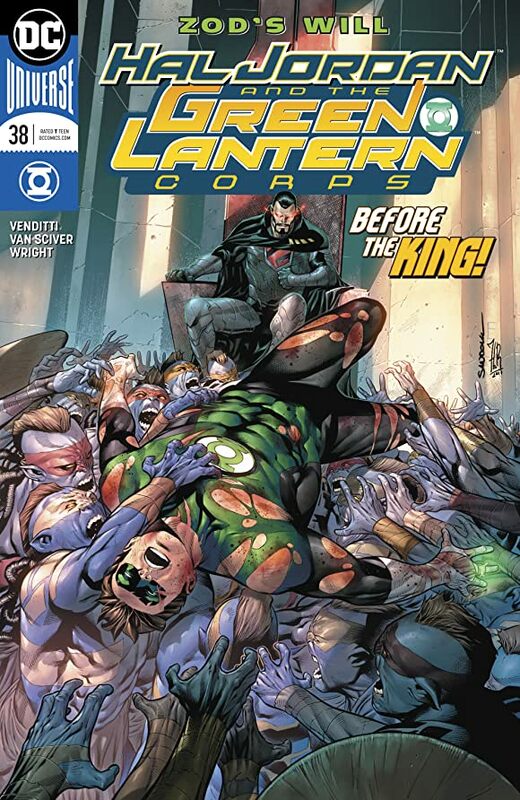 Mounting an escape from General Zod’s prison camp, Hal Jordan and Kyle Rayner must face down the natives of the Kryptonian villain’s new planet. 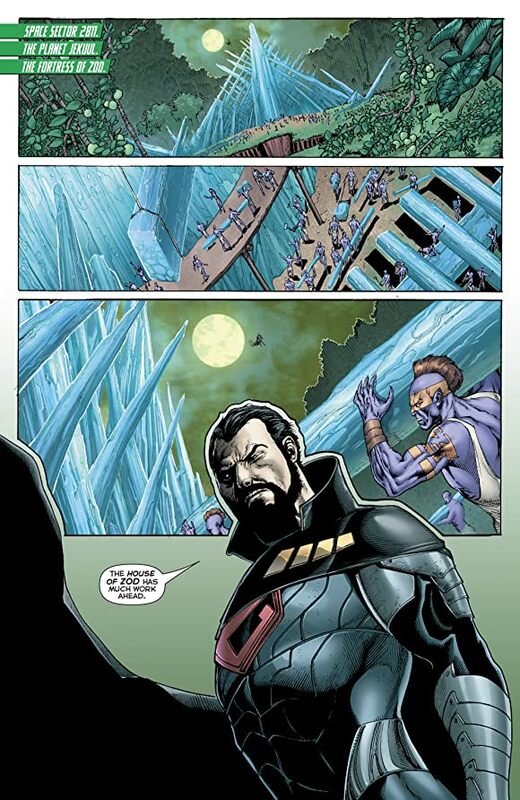 As Hal and Kyle fight to survive the natives, Zod and his family, can even one of them make it out alive to warn the rest of the universe about the growing threat?